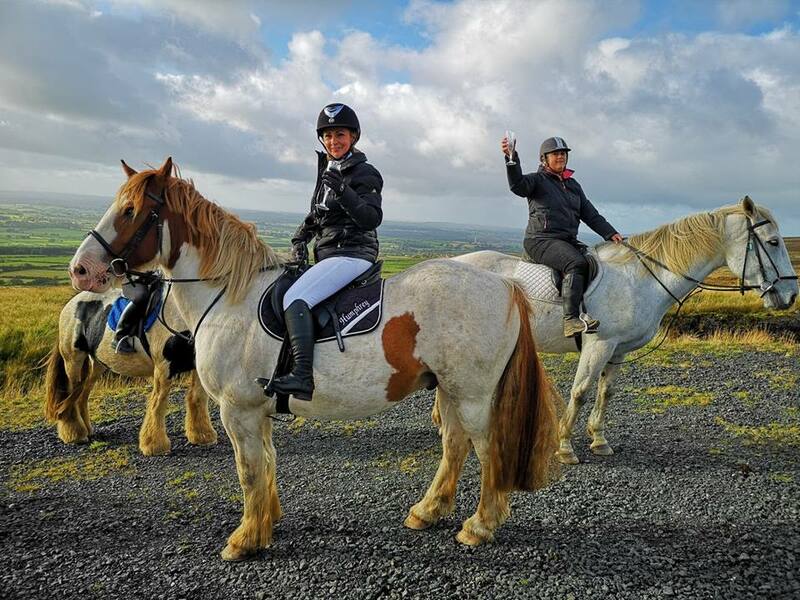 Ride through the rolling hills on your trusted stead, take in the iconic views of the North Antrim hills and benefit from the therapeutic nature that the experience offers before reaching the peak. Here, it’s time for a champagne and canapé reception to toast the bride while looking over the estate and taking in the stunning views over 5 counties. The day doesn’t end there. Allow your 4-legged friend to take you back to the stables where our high-class afternoon tea will be served in the Loft. The quality of the food and service, the character of the setting and the attention to detail of the whole experience makes for a perfect end to the day. This experience can cater for all levels of riding ability. For those nervous about the horse-riding aspect, we can guarantee well-mannered and sure-footed horses along with plenty of support from our staff on the ground. All non-riding group members are welcome to join for the champagne reception and afternoon tea. We also cater for experienced groups. The champagne reception takes place at our peak cabin and can be done inside or outside depending the group preferences and the weather. The option of having a high-class picnic at the peak instead of the afternoon tea in the Loft is also an option.